Have a pack of ground turkey but need some ideas to turn it into healthy ground turkey recipes the whole family will enjoy? This list has so many different ground turkey ideas from burgers to meatloaf, to soup and stir fry. You absolutely will find easy, healthy ideas whether you are looking for one pot ideas, a casserole or something new to try int he crockpot. Check out the list for all of the best quick and delicous family dinner ideas with ground turkey everyone will enjoy. Ready to fire up the grill? 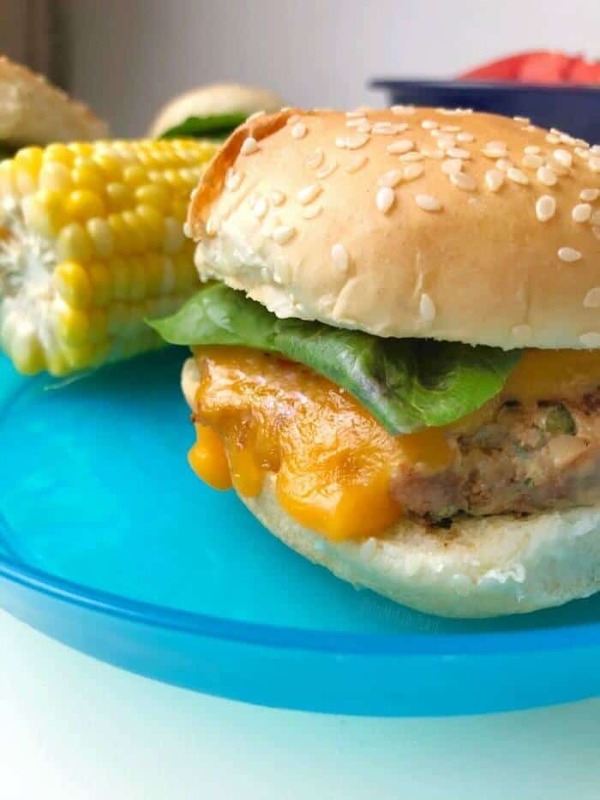 These Mini Turkey Burger Sliders are flavorful and delicious every time and the perfect size for little hands. 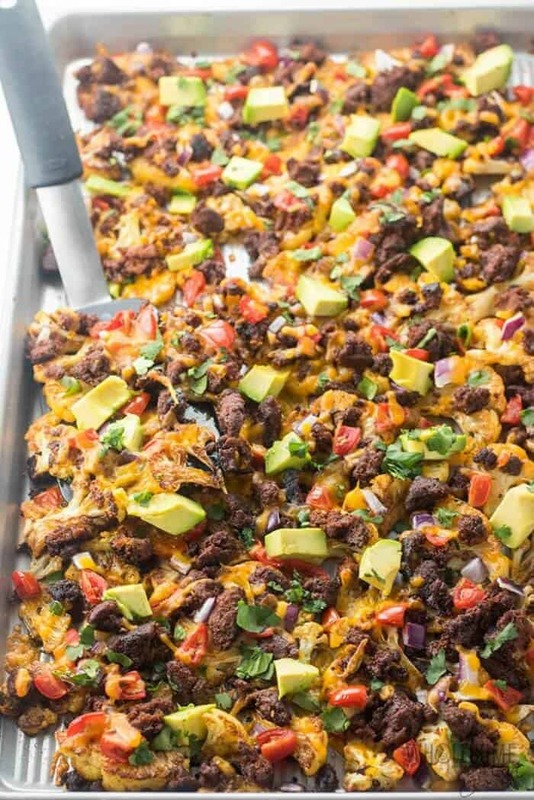 Made in 15 minutes or less, these Healthy Cauliflower Nachos with Ground Turkey from Wholesome Yum is a fast dinner or snack your whole crowd will cheer for. My lean Ground Turkey Chili is mild enough for picky kids but still tasty enough for the adults. Serve this just in a bowl, over sweet potatoes, on top of salad and freeze the leftovers for lunches! 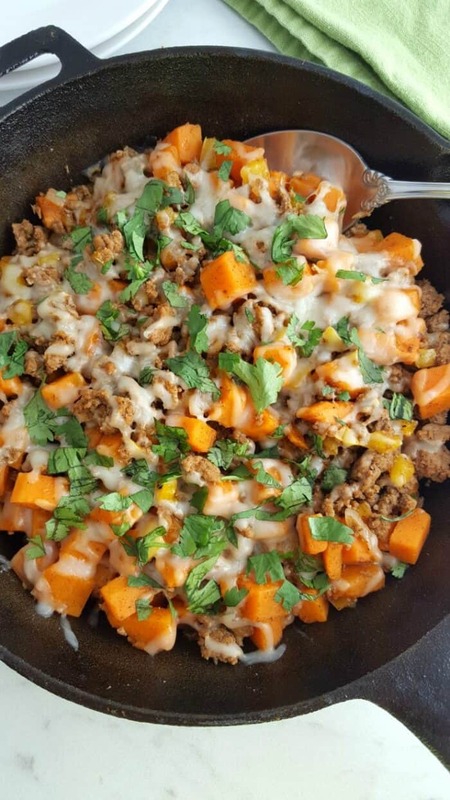 This Turkey and Sweet Potato Skillet from Life Love Liz is one of those easy weeknight meals to keep in your back pocket. It’s seriously yummy, filling, and also naturally gluten-free. 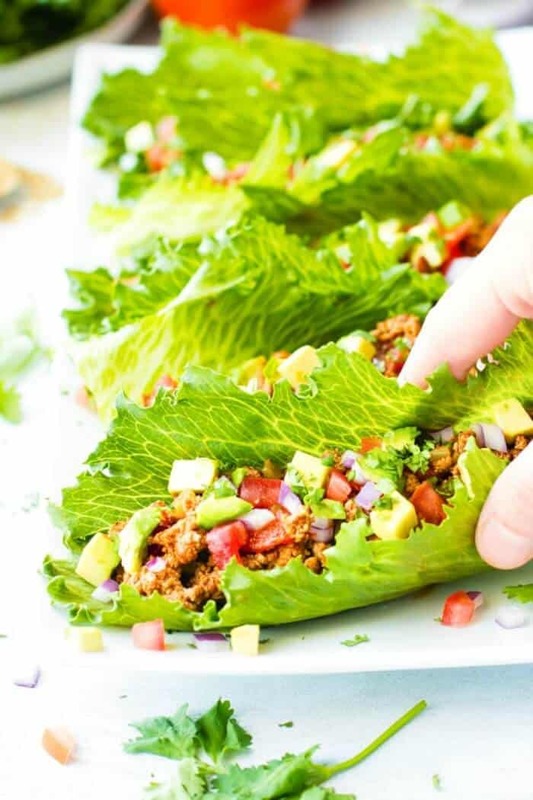 Feeling like tacos, but with an even healthier twist? 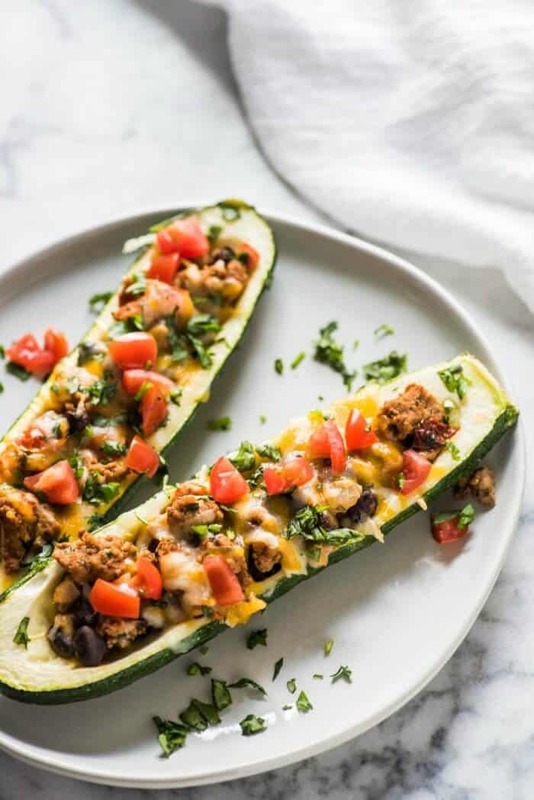 These Chipotle Turkey Zucchini Boats from Isabel Eats are packed with rich and slightly smoky flavor. Perfect for those summer days when zucchini is crazy plentiful, or just as another good reason to add more veggies! If there is one meal of the day I can guarantee the whole family will cheer for, it’s breakfast. 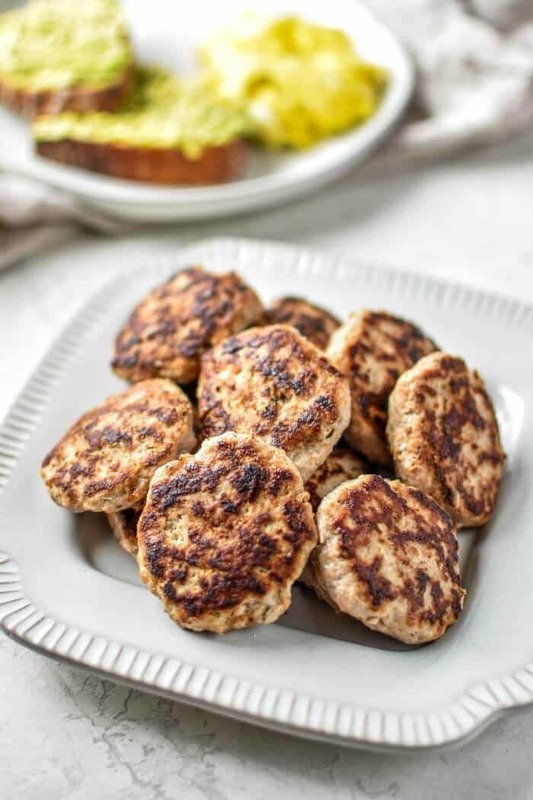 Lighten up your mornings with these yummy protein-packed Turkey Breakfast Sausages from Project Meal Plan. 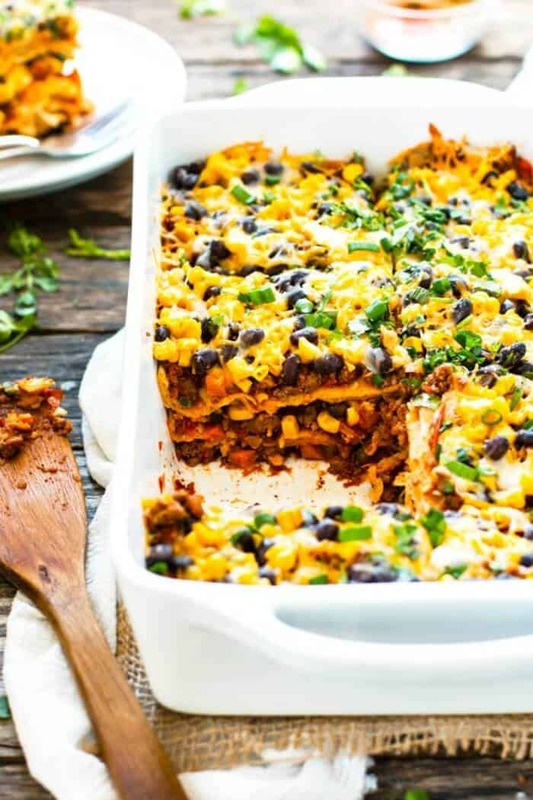 If tacos and Italian food had a baby, it would be this super delicious Ground Turkey Mexican Lasagna from Evolving Table. For those nights you just can’t decide between the two. 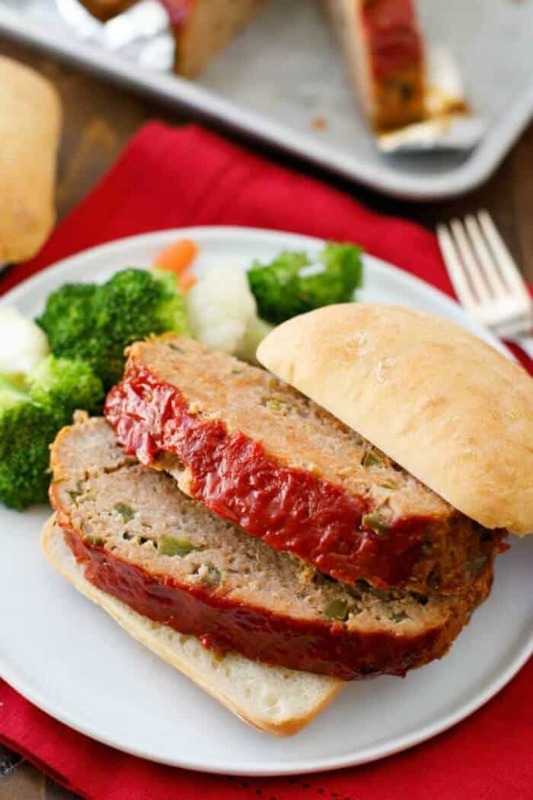 Classic comfort food with a healthy twist, this Ground Turkey Meatloaf from Dear Crissy should take a spot in your dinner rotation. 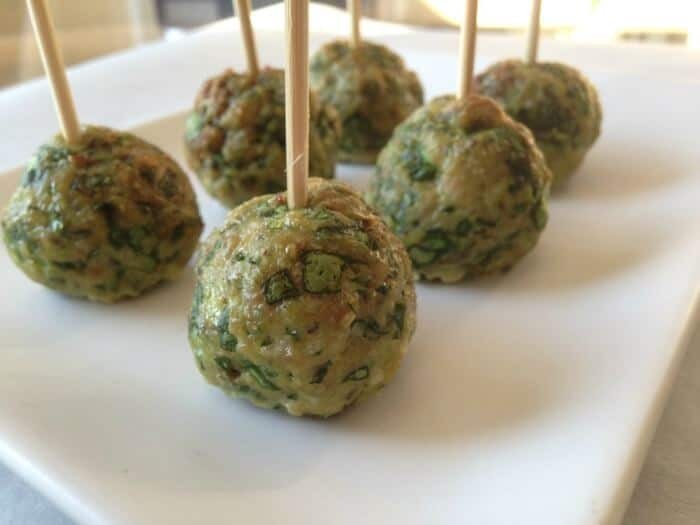 Lean and green, these Ground Turkey Meatballs with Spinach and Parmesan from One Clever Chef are packed with lean protein, leafy greens, and a side of healthy dinner winning. Perfect for the kiddos. Is there a better feeling than coming home to a yummy dinner waiting and ready? 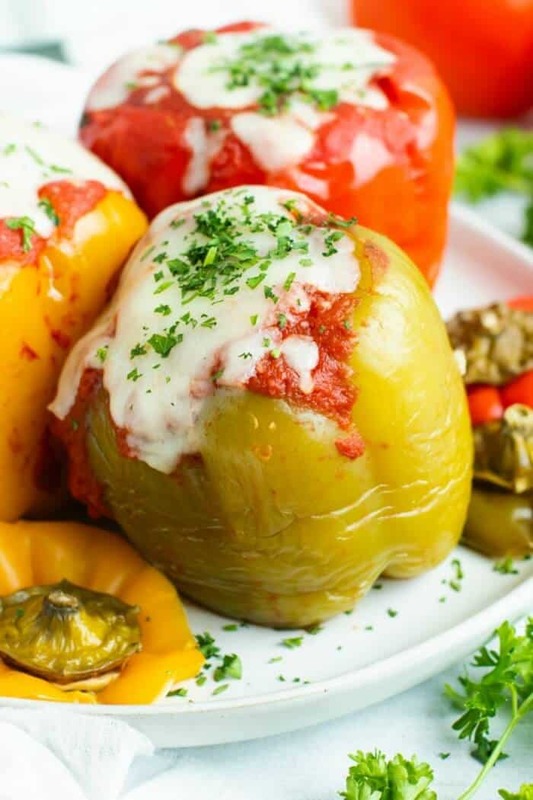 These Crock Pot Stuffed Peppers from The Evolving Table will fill your house full of all the homey, delicious smells that you’ll be running to the dinner table. 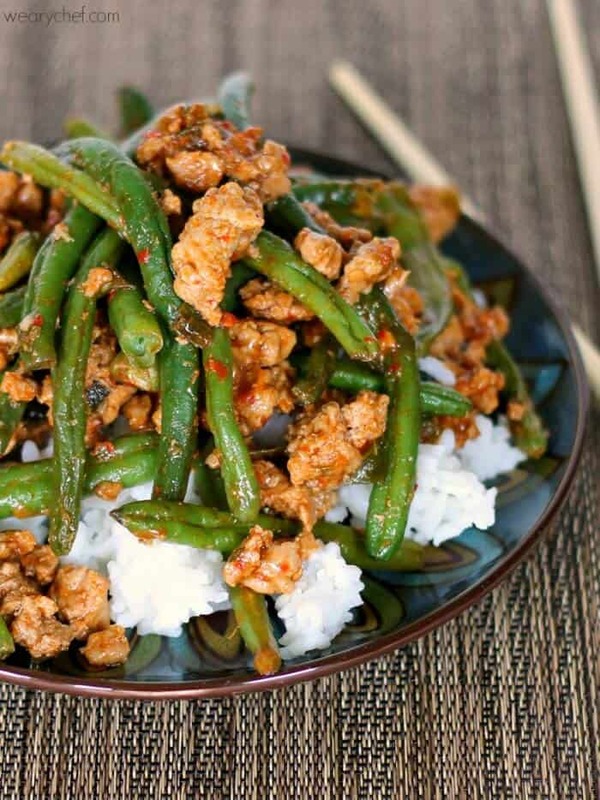 Give dinner an Asian flavor with this savory ground turkey and green bean rice bowl from The Weary Chef. Skip the takeout, this one is fast enough for a weeknight. If I’m being totally honest I’ve not always been the biggest mushroom fan EXCEPT when it comes to savory portabella mushrooms. 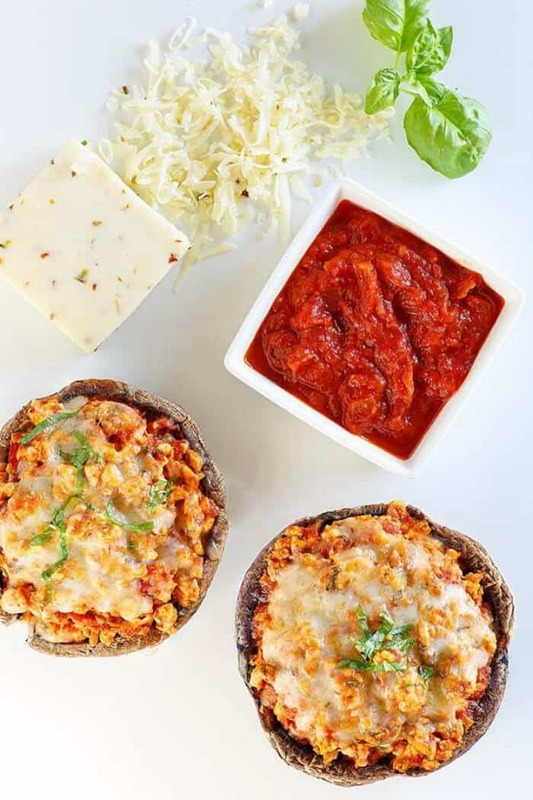 Whether you’re a huge fan of mushrooms or the verdict is still out, you’ve got to try these Portabella Mushrooms With Marinara and Cheese from Wholesome Yum, they will knock your socks off! Qunioa is protein packed, and a darling when it comes to making dinner ahead fast. 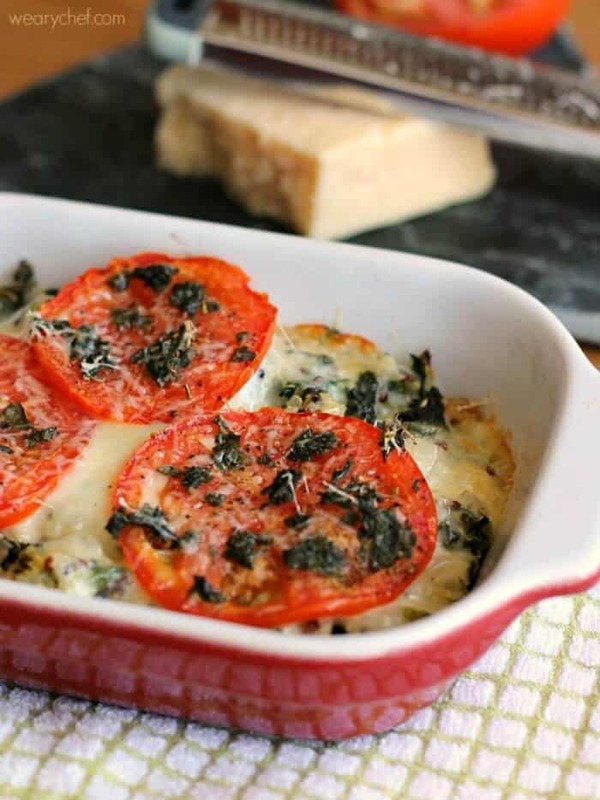 This Caprese Quinoa Casserole from The Weary Chef packs in the light and bright summery flavors into dinner. If I’m being honest I’m almost always up for Mexican food. 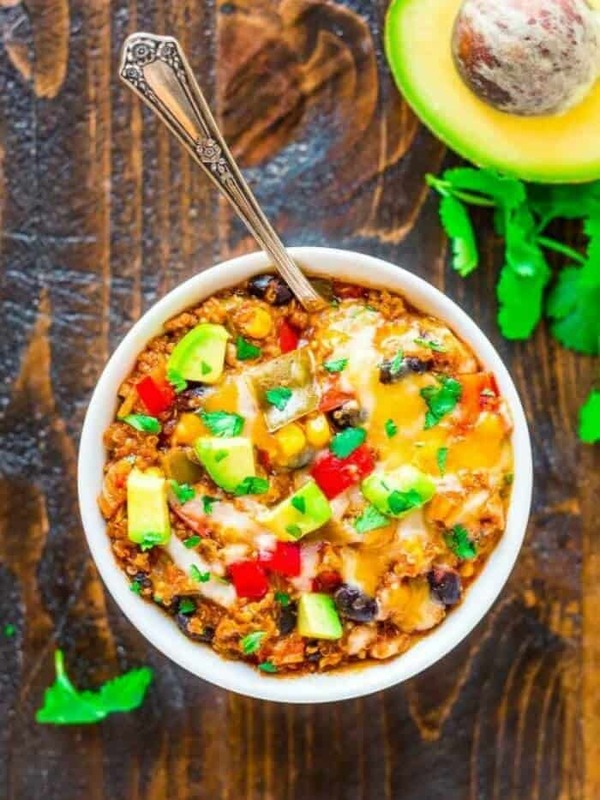 This Crock Pot Mexican Casserole from Well Plated is the perfect solution to a healthy Mexican dinner that’s waiting at the door for you when you get home. 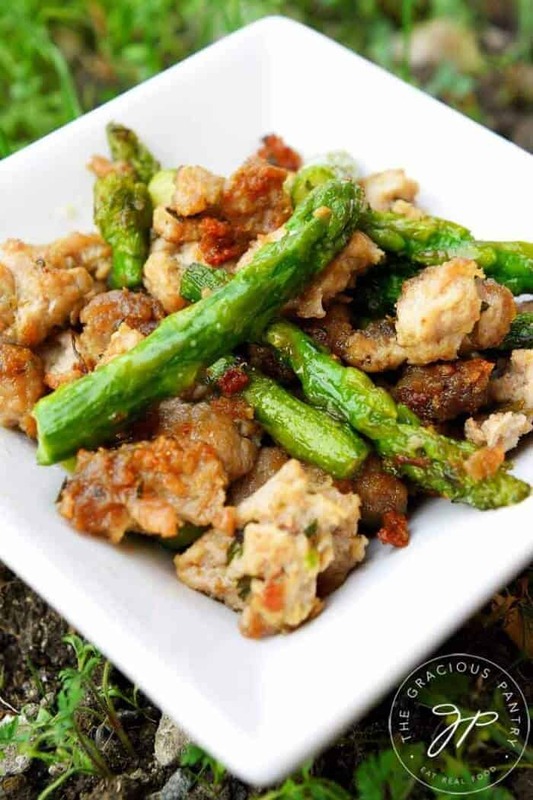 Another delicious and quick dinner, this healthy Ground Turkey Asparagus Skillet from The Gracious Pantry packs flavor while still getting you in and out of the kitchen fast. I have yet to find many people who turn down a delicious taco. 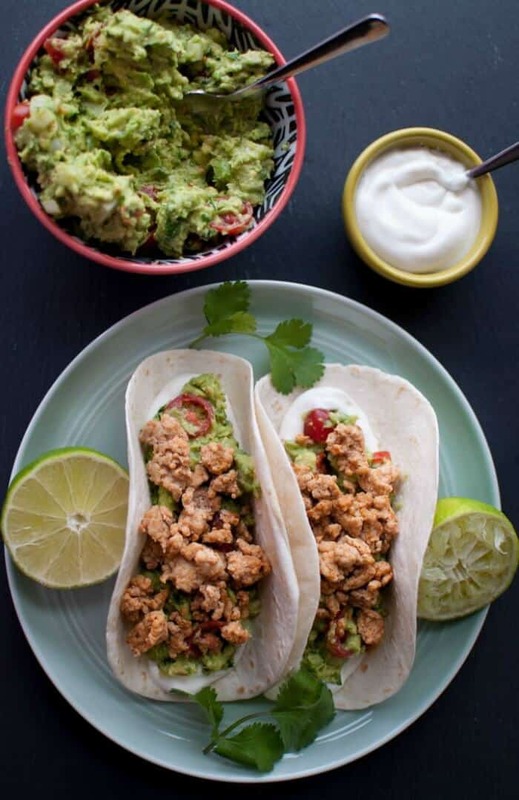 These Ground Turkey Tacos from Salt and Lavender are a quick go-to flavorful family meal you want in your back pocket for busy nights. This dinner is the flavor-packed, healthier version of an over the top baked potato. 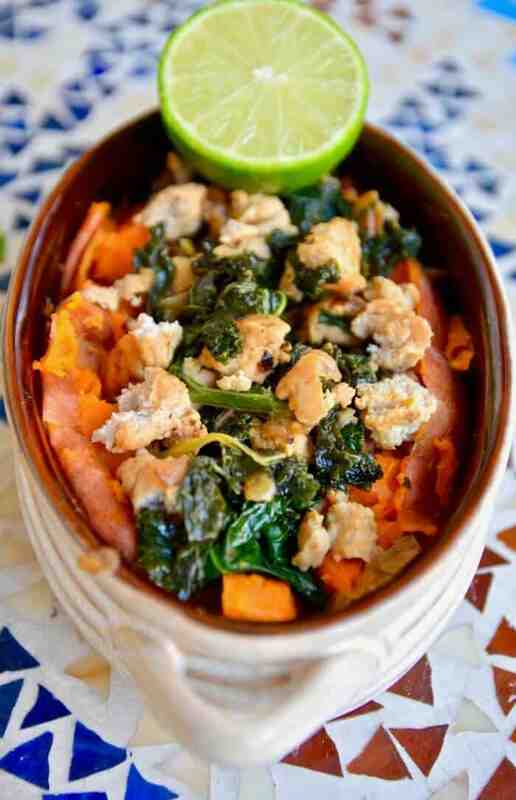 I’m loving this Ground Turkey and Kale Stuffed Sweet Potato idea from Tasting Page. 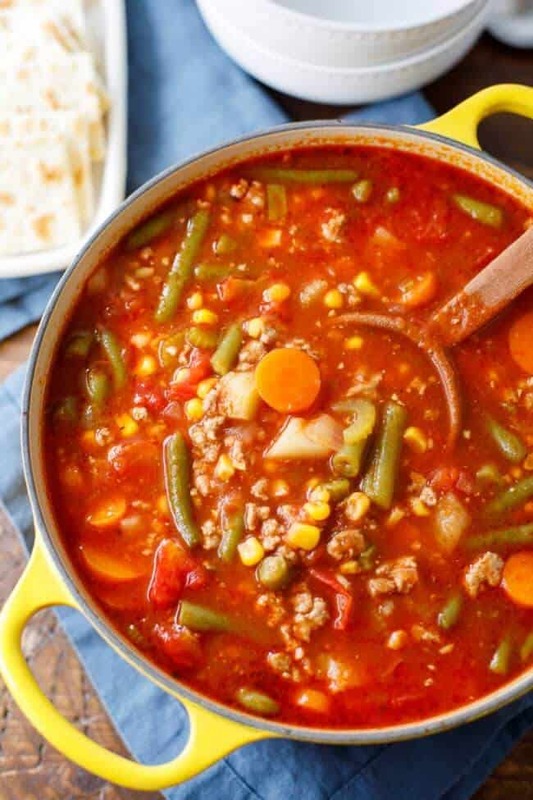 Super cozy and comforting, this Ground Turkey and Vegetable Soup from Dear Crissy would be a weeknight winner for warm and healthy dinner or lunch. 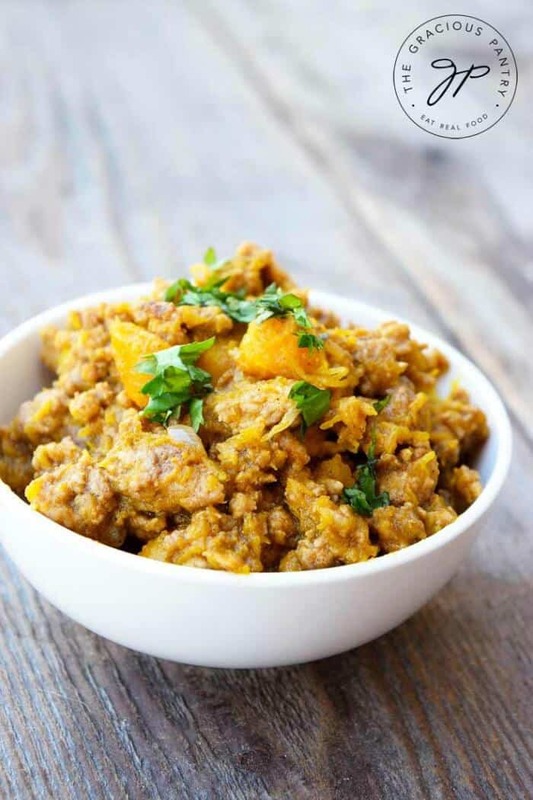 Cozy and warm on a cool day, this Ground Turkey and Pumpkin Skillet from The Gracious Pantry is channeling all of the coziness in a bowl. 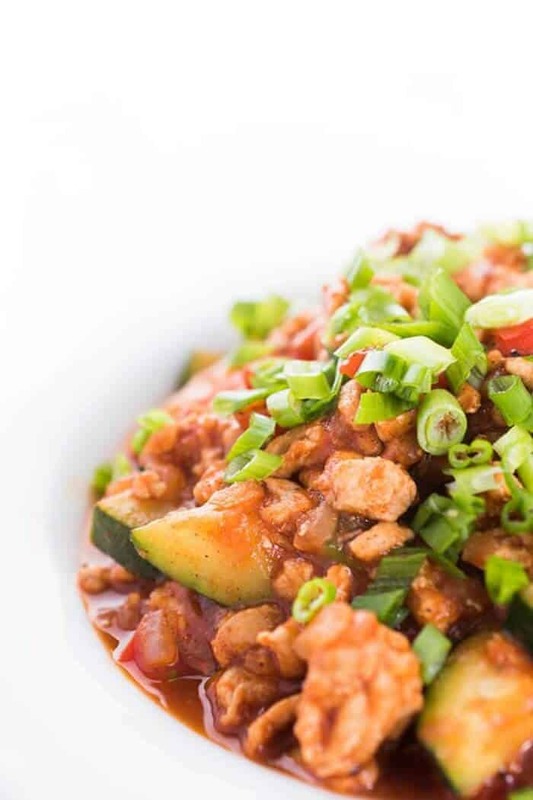 Take your family on a little trip in a bowl with this easy and tasty Ground Turkey and Zucchini With Indian Spices from The Lemon Bowl. This one is fast, fragrant, and perfect for that summer zucchini haul. They mention in the recipe that this one is really easy to scale back on the spices which tends to work well when you have a picky eater in your house. Is your family a drippy egg fan? 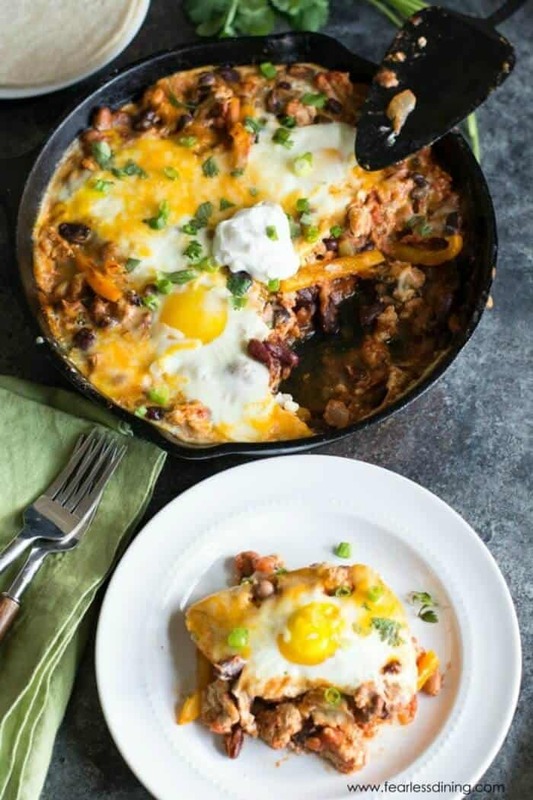 Take your bowl to the next level with this Ground Turkey Chili Shakshuka from Fearless Dining. Packed full of flavor, try something a little new! You won’t be disappointed. 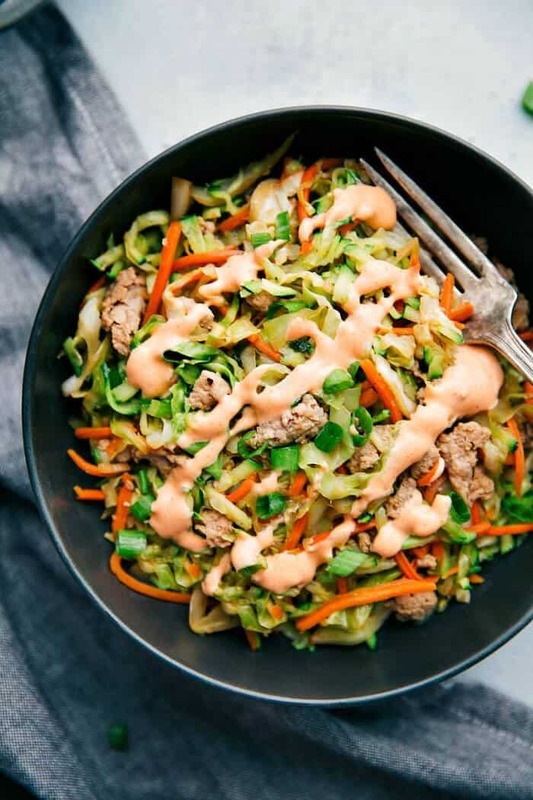 I’ve been looking for a way to add more cabbage into my family’s weekly meals, and this Cabbage and Ground Turkey Stirfry from Chelsea’s Messy Apron looks delicious. I love the optional Sriracha Mayo which means those who like it mild can stay mild, and the rest of us (usually the parents in our house) can turn up the heat! Pin This Article And Save It For Later! So which of these healthy ground turkey recipes are you eyeing? Did you try one of these recipes and love it? Let’s chat more down in the comments, I want to hear all of your best delicious ideas too!